Product prices and availability are accurate as of 2019-04-14 20:05:41 EDT and are subject to change. Any price and availability information displayed on http://www.amazon.com/ at the time of purchase will apply to the purchase of this product. 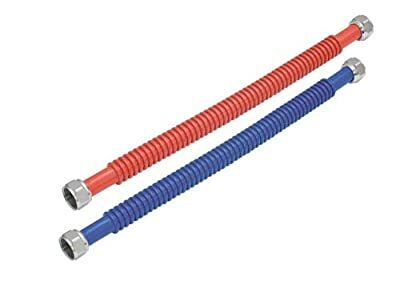 EZ-FLO's 3/4" FIP x 3/4" FIP x 24" Water-Flex Corrugated Stainless Steel Connector is built with quality in mind. The corrugated stainless steel connector is designed to withstand corrosion. The deep corrugations provide structural support against crushing, kinking and cracking. CSA certified.